This Energiser gives you the best of both worlds. 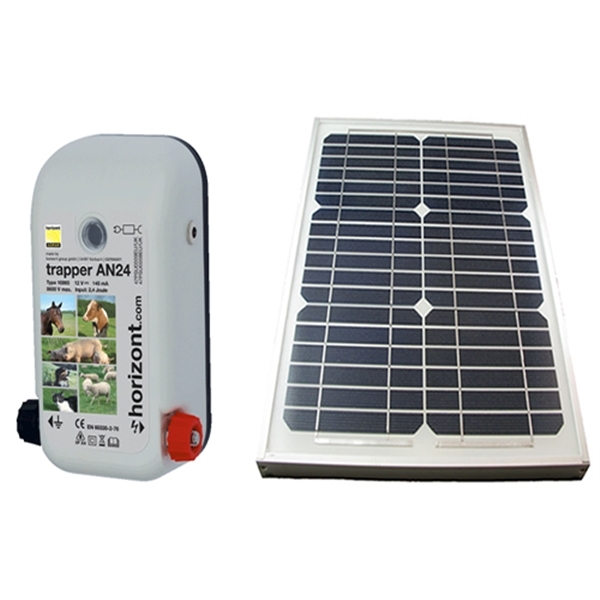 It can be clipped on to a 12v battery and used to power a fence in the middle of a field. 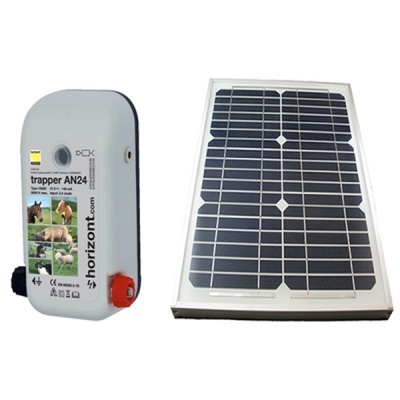 The solar panel attaches to your 12 volt battery and charges it, so you don't need to lug the heavy battery into the mains for a charge. Or, plug in the provided adapter and the AN12 energiser is a mains powered unit with no more batteries to worry about. This gives the maximum flexibility so it can adapt to your changing fencing requirements. The AN12 is a powerful energiser, made in Germany. It can power up to 8 km of multi-wire fencing under perfect conditions, or up to 4 km of multi-wire fencing under medium vegetation. The energiser is very easy to use. It has a light that flashes to show it is working, and the light will indicate if there are any battery concerns. The energiser comes with a 2 year warranty. The Trapper AN12 will power up to 4 nets. We Say: Solar power is now so easy, affordable and reliable - just clip the solar panel on to your battery and face the panel due south. We have found typically the solar panel will support the energiser for most of spring , summer and autumn . It may be necessary to top up the battery in the darker months when the light levels are poor. Of course, with the AN12 energiser you have also got the ability to run the unit directly from the 240v mains should your situation make that possible. Please note, this does NOT come with a 12 volt leisure battery.